The East Riding of Yorkshire, or simply East Riding, is an area in Northern England and can refer either to the administrative county (Local Government Area) of the East Riding of Yorkshire which is a unitary authority, to the ceremonial county (Lieutenancy) of the East Riding of Yorkshire or to the easternmost of the three subdivisions (ridings) of the traditional county of Yorkshire. No two of these areas share the same geographical boundaries despite sharing the same name. The traditional East Riding of Yorkshire includes parts of ceremonial North Yorkshire such as Filey but not Goole, whereas both the administrative and ceremonial East Riding of Yorkshire include Goole but not those parts of North Yorkshire. Both the traditional and ceremonial East Riding include Kingston upon Hull, but the administrative East Riding does not as Kingston upon Hull is in its own unitary authority. The traditional East Riding covers a larger area than both the ceremonial and administrative East Riding. The East Riding, North Riding and West Riding were treated as three separate counties for many purposes, such as having separate quarter sessions. In 1889 under the Local Government Act 1888, administrative counties with a county council were created on the historic boundaries. In 1974 both the Local Government Area and the Lieutenancy of the East Riding of Yorkshire were abolished under the Local Government Act 1972, being succeeded in most of the riding by the newly created Humberside which included parts of the West Riding and parts of Lincolnshire. The modern Local Government Area and the ceremonial East Riding of Yorkshire were formed in 1996 from the northern part of Humberside upon its abolition. At the 2011 Census, the population was 334,179. The landscape consists of a crescent of low chalk hills, the Yorkshire Wolds, surrounded by the low-lying fertile plains of Holderness and the Vale of York. The Humber Estuary and North Sea mark its southern and eastern limits. Archaeological investigations have revealed artefacts and structures from all historical periods since the last ice age. There are few large settlements and no industrial centres. The area is administered from the ancient market and ecclesiastical town of Beverley. Christianity is the religion with the largest following in the area and there is a higher than average percentage of retired people. The economy is mainly based on agriculture and tourism, contributing to the rural and seaside character of the Riding with its historic buildings, nature reserves and the Yorkshire Wolds Way long-distance footpath. The open and maritime aspects and lack of major urban development have also led to the relatively high levels of energy generation from renewable sources. After invading Britain in AD 43, the Romans crossed the Humber Estuary in AD 71 to invade the Northumbrian territory of the Parisi tribe. From their bridgehead at Petuaria they travelled northwards and built roads along the Wolds to Derventio, present day Malton, and then westwards to the River Ouse where they built the fort of Eboracum. There is evidence of extensive use of the light soils of the Wolds for grain farming in the Roman era. Several Roman villas which were the centres of large agricultural estates have been identified around Langton and Rudston. In the low-lying lands on either side of the Wolds there was an increase in the number of settlements between 500 BC and AD 500, as the land became drier and more accessible due to a fall in sea level. The lower-lying land was used for stock breeding. During the last years of Roman occupation Anglo-Saxon raiders were troubling the area and, by the second half of the 5th century, settlement by Anglian invaders was taking place in east Yorkshire. Village names containing the elements -ing, -ingham or -ham are Anglian settlement names. As Christianity became established in the area from the 7th century onwards, several cemeteries like the one at Garton on the Wolds show evidence of the abandonment of pagan burial practices. In AD 867, the Great Danish Army captured the Anglian town of York, and the remnants of the army settled in Yorkshire from AD 876, when their leader Halfdan shared out the land among them. Scandinavian settlements have names including the elements -by and -thorpe. Scandinavian rule in the area came to an end in AD 954 with the death of their ruler Eric Bloodaxe. After the Norman Conquest of England by William the Conqueror in AD 1066, the land in the East Riding was granted to followers of the new Norman king and ecclesiastical institutions. When some of the northern earls rebelled, William retaliated with the Harrying of the North which laid waste to many East Riding villages. The land was then distributed among powerful barons, such as the Count of Aumale in Holderness and the Percy family in the Wolds and the Vale of York. These lay lords and ecclesiastical institutions, including the monasteries, continued to improve and drain their holdings throughout the Middle Ages to maximise the rents they could charge for them. As a ceremonial county, the East Riding of Yorkshire borders North Yorkshire to the north, north west and to the west, South Yorkshire to the south west and Lincolnshire to the south, and includes the city of Kingston upon Hull, which is a separate unitary authority. As a district the East Riding borders North East Lincolnshire, beyond the Humber Estuary; North Lincolnshire, beyond the Humber and on land; Hull, Doncaster, Selby, York, Ryedale and Scarborough. The North Sea is to the east of the county. The administrative division of the East Riding of Yorkshire originated in antiquity. Unlike most counties in Great Britain, which were divided anciently into hundreds, Yorkshire was divided first into three ridings and then into numerous wapentakes within each riding. The separate Lieutenancy for the riding was established after the Restoration, and the ridings each had separate Quarter Sessions. For statistical purposes in the 19th century an East Riding of Yorkshire registration county was designated, consisting of the entirety of the Poor Law Unions of Beverley, Bridlington, Driffield, Howden, Hull, Patrington, Pocklington, Sculcoates, Skirlaugh and York. A county council for the East Riding of Yorkshire was set up in 1889, covering an administrative county which did not cover the county borough of Hull, but otherwise had the same boundaries as the historic riding. Both the administrative county and the historic Lieutenancy were abolished under the Local Government Act 1972, on 1 April 1974, with most of the riding going to form the northern part of Humberside. The creation of this cross-Humber authority was unpopular and this culminated in the local government review in the 1990s, which saw Humberside abolished and the northern part form two unitary authorities. The East Riding district was formed on 1 April 1996. The ceremonial county, the area in which the Lord Lieutenant of the East Riding of Yorkshire represents the Crown, was re-established the same day, covering Hull as well as the district. The district is entirely parished; Hull has no parishes. From 1996 Beverley had Charter Trustees to maintain the charter of the borough of Beverley: these were replaced by a Beverley Town Council in 1999, and Bridlington was parished in 1999. The unparished area consisting of the urban district of Haltemprice was divided into various parishes in 1999 and 2000. The East Riding of Yorkshire Council is based in Beverley, in the former headquarters of Humberside County Council, and East Riding County Council before that. There are 26 wards electing a total of 67 councillors in the District. The council elects on a four-yearly cycle with all seats up for election at the same time. It first had elections in 1995—a year before it came into its powers—as a shadow authority. Between 1995 and 2007 the council had No overall control. In the 2007 local elections the Conservative Party gained a majority of seats, including those of the Liberal Democrat and Labour Party leaders. The council has a leader-and-executive system, the leader being Stephen Parnaby of the Conservatives. In the Audit Commission report covering 2007 the council was given a four-star rating, which places the authority as one of the best in the country. For representation in the Parliament of the United Kingdom the bulk of the East Riding district is divided into three county constituencies: Beverley and Holderness, East Yorkshire and Haltemprice and Howden, which are all Conservative-held. One of Hull's three borough constituencies, Kingston upon Hull West and Hessle, spills into the area, as does Brigg and Goole, otherwise in North Lincolnshire. All the Hull seats are Labour-held. For the European Parliament it lies within the Yorkshire and the Humber constituency, which in the May 2014 European Election elected three UKIP, two Labour and one Conservative MEPs. The crime rate in the East Riding is lower than the national average in robbery, sexual offences, theft of a vehicle, theft from a vehicle, violence against a person and burglary. Hull Paragon Interchange is a large railway station, served by the Selby Line to the west and the Yorkshire Coast Line to the north. See Railway stations in the East Riding of Yorkshire. Train operators active in the area are Hull Trains, London North Eastern Railway, Northern and TransPennine Express. Bus services are provided by several operators including First York, which provides services from the East Riding into York, Goole Town Service and also services from Goole to Doncaster. Stagecoach in Hull provides services from the East Riding to Hull and into Lincolnshire, and East Yorkshire Motor Services, historically the dominant area operator, provides a wide variety of bus services throughout the East Riding. Yorkshire Coastliner provides services from Bridlington to Malton, York and Leeds. Holderness Area Rural Transport, a charity, provides a community transport service for North Holderness, taking people to medical appointments in Hull and to the shops. This is a chart of trend of regional gross value added of East Riding of Yorkshire at current basic prices with figures in millions of British Pounds Sterling. The East Riding is characterised by a high employment rate and a relatively low unemployment level. The overall unemployment rate is 4.3%, which is 1.2 percentage points lower than the national average. However, there are unemployment hotspots in Bridlington, Goole and Withernsea. Unemployment levels tend to fluctuate over the course of the year with lower levels during the summer months due to increased employment in the tourism and food production sectors. A major year-round employer in the East Riding is the Defence School of Transport at RAF Leconfield, which trains 14,000 personnel from the Army, the Royal Air Force and the Royal Marines each year and provides more than 1,000 civilian jobs. The East Riding of Yorkshire Council has joined Hull City Council, North East Lincolnshire and North Lincolnshire Councils in the Hull and Humber Ports City Region Partnership. The UK government has set a target to generate 10% of the UK's electricity from renewable energy sources by 2010. The Energy White Paper (2003) sets out the Government's aspiration to double that figure to 20% by 2020. It has additionally signed up to the legally binding Kyoto Protocol, which requires a reduction of greenhouse gas emissions by 12.5% of 1990 levels by 2008–12 and a reduction of CO2 emissions by 20% of 1990 levels by 2010. Regional and local authorities are required to contribute to the delivery of these national targets. The East Riding has an above-average potential to generate renewable electricity for Local Authorities in the region due its large wind energy potential. The East Riding of Yorkshire is set a target of 41 MW by 2010, and a target for 2021 of 148 MW for installed grid-connected renewable energy. There are operational wind farms at Lissett in Holderness and Out Newton to the north of the Humber Estuary. There are single turbines at the Waste Water Treatment Works at Saltend and at Loftsome Bridge Water Treatment Works near Barmby on the Marsh. In addition, several other wind developments have either been given or are applying for permission. By late February 2009 there was existing developed capacity or planning approval for 140 MW of renewable energy from wind farm developments. The overall renewable energy target for 2010 and 2021 has therefore already been exceeded by wind energy proposals alone, assuming some of these schemes will be operational by 2010. The East Riding has also exceeded 148 MW, when other renewable energy types such as biomass are included in the calculation. The Humber Estuary is to be used for trials of a tidal stream generator. If successful, it will be used to develop larger models which could be deployed in a 100-unit "renewable power station" capable of powering 70,000 homes. The East Riding local education authority supports 150 schools: 131 primary schools and 19 secondary schools. The total net spending per head of population on education rose from £578.08 in 2006/07 to £632.88 in 2007/08. In 2009 primary school test results showed a slide down the national performance table for the East Riding authority, dropping eight places in the national league table to 28th after other education authorities improved more in the tests. At secondary level the authority slipped seven places to 39th out of 149 authorities, despite producing the best set of General Certificate of Secondary Education (GCSE) results since the inception of the East Riding of Yorkshire Council in 1996. The percentage of students achieving five or more good GCSEs, at grades A*–C including maths and English, rose to 52.5 per cent, from 50.8 per cent in 2007. This is above the national average of 47.6 per cent. Bishop Burton is the location of Bishop Burton College, a further education and higher education college specialising in agriculture and equine studies.Beverley Grammar School, which was founded around 700 AD, is widely renowned for being the oldest continuously operating state school in England. Furthermore, Hull is home to several schools, including the private Hymers College, and a university. The University of Hull was founded as a university college in 1927 and received full university status in 1954; it is home to the Hull York Medical School, and has seen large scale expansion in recent years to cater for the ever-growing number of students. Both the East Riding and Hull are still covered by the Humberside Police area and the Humberside Fire and Rescue Service. Piped water is supplied by Yorkshire Water who also maintain the sewerage system. About 1% of the population use water from private supplies. They are usually in the more remote parts of the East Riding. The majority are bore holes but they can be wells or natural springs.NHS East Riding of Yorkshire provides health services such as district nursing, health visiting, school nursing, intermediate care and therapy services. It works with local GP practices, pharmacists, dentists, optometrists and ambulance services to provide a primary healthcare service.Hull and East Yorkshire Hospitals NHS Trust provides hospitals at Castle Hill Hospital, Hull Royal Infirmary and Beverley Westwood Hospital. Scarborough and North East Yorkshire Healthcare NHS Trust runs Bridlington Hospital and also provides health care from the community hospitals at Driffield and Malton which are run by the local primary care trusts (NHS East Riding and NHS North Yorkshire and York). Small cottage and community hospitals provide a range of services at Hornsea and Withernsea. There are ten household waste recycling sites across the East Riding. In the financial year 2004/05 210,112 tonnes (206,794 long tons; 231,609 short tons) of municipal waste was collected by East Riding and 154,723 tonnes (152,279 long tons; 170,553 short tons) by Hull. Between 2003/04 and 2004/05 the amount of waste collected in Hull increased by 1.77% (2,696 tonnes [2,653 long tons; 2,972 short tons]) and in the East Riding by 4.80% (9,629 tonnes [9,477 long tons; 10,614 short tons]). Target 45+ is a joint sustainable waste-management strategy developed in partnership by Hull City Council and the East Riding of Yorkshire Council. The overall aim is to achieve 45% recycling or composting by 2010 and then go beyond this. At the outset it was anticipated that recycling rates in the East Riding by the end of 2005/06 would be 22.4% and in Hull the rate would be 17.4%. The Waste Recycling Group is a company working in partnership with the Hull City and East Riding of Yorkshire councils to deal with waste. The company has plans to build an energy from waste plant at Saltend to deal with 240,000 tonnes (240,000 long tons; 260,000 short tons) of rubbish and put waste to a productive use by providing power for the equivalent of 20,000 houses. Hull is the main centre for national-level sport in the region. Hull City A.F.C. play in the EFL Championship, the second tier of the English football league system, after relegation from the Premier League in the 2016–17 season. Bridlington Town A.F.C. play in the Northern Counties East League Premier Division. There are two professional rugby league teams based in Hull: Hull F.C. and Hull Kingston Rovers who play in the Super League. Bridlington Rugby Union Football Club plays at Dukes Park in Bridlington. The Hull Pirates ice hockey team who play in the National Ice Hockey League Division 1 (North) following the demise of the English Premier League. The region is covered by BBC Yorkshire and Lincolnshire based in Hull and ITV Yorkshire, broadcast from Leeds. Local analogue radio stations include BBC Radio Humberside, Capital Yorkshire, KCFM, Viking FM and Yorkshire Coast Radio. A local Digital Audio Broadcasting multiplex is based around Humberside. The county also has three Community radio stations Seaside FM, which serves the Holderness area on 105.3 FM MHz, Vixen 101 which serves Market Weighton and Pocklington and 107.8 Beverley FM which serves Beverley and the surrounding areas. Newspapers include the Hull Daily Mail, owned by the Northcliffe Media group. An East Riding Mail has recently been launched as a sister paper to this. Other newspapers in the area include the Bridlington Free Press, the Beverley Guardian, the Driffield Times & Post, the Goole Times and the Holderness Gazette. ^ "New High Sheriff appointed in East Riding". Hulllive. Retrieved 16 April 2019. ^ UK Census (2011). "Local Area Report – East Riding of Yorkshire Local Authority (1946157108)". Nomis. Office for National Statistics. Retrieved 1 March 2018. ^ "Driffield Online – The Digital Community for the Yorkshire Wolds". Stephen Harrison, BA, MPil Phd, Consultant Archaeologist to Driffield Online. 2000. Retrieved 17 October 2009. ^ "The Yorkshire Wolds Natural Area Profile" (PDF). Natural England. November 1997. p. 3. Retrieved 30 August 2017. ^ "Heritage Coast: Flamborough Headland" (PDF). Natural England. October 2002. Retrieved 30 August 2017. ^ "Walkers warned of coastal erosion". BBC News Online. London. 6 March 2006. Retrieved 5 February 2008. ^ "The Plain of Holderness Natural Area Profile" (PDF). Natural England. November 1997. pp. 6, 11–12. Retrieved 30 August 2017. ^ "Holderness Coast United Kingdom" (PDF). Eurosion Case Study. pp. 5–6. Retrieved 9 December 2009. ^ Poulson, George (1841). The history and antiquities of the seigniory of Holderness: in the East-Riding of the County of York. London: R. Brown. OCLC 5848817. Retrieved 12 December 2009. ^ "GENUKI: Easington Parish information from Bulmers' 1892". Genuki. Retrieved 4 November 2009. ^ "Withernsea Coastal Erosion". University of Hull. Retrieved 22 October 2009. ^ "Vale of York and Mowbray Natural Area Profile" (PDF). Natural England. March 1997. pp. 12–13. Retrieved 30 August 2017. ^ "Met Office: Regional Climate: Eastern England". The Met Office. Archived from the original on 5 June 2011. Retrieved 4 November 2009. ^ "High Mowthorpe 1971–2000 averages". The Met Office. Retrieved 24 July 2008. ^ "GENUKI: Definitions of the terms used to describe areas of land and habitation in the county of Yorkshire". Genuki. 2008. Archived from the original on 5 May 2010. Retrieved 12 October 2009. ^ "The history of the West Yorkshire Lieutenancy". West Yorkshire Lieutenancy. 2009. Archived from the original on 12 October 2009. Retrieved 1 August 2009. ^ "East Riding RegC through time | Administrative history of Poor Law/Registration County: hierarchies, boundaries". Vision of Britain. 2009. Archived from the original on 24 February 2012. Retrieved 1 August 2009. ^ "The Humberside (Structural Change) Order 1995". HMSO. 1995. Archived from the original on 14 February 2009. Retrieved 1 August 2009. ^ "The Local Government Changes for England (Miscellaneous Provision) Order 1996". HMSO. 1996. Retrieved 1 August 2009. ^ "East Riding Parishes Map" (PDF). East Riding of Yorkshire Council. 2007. Archived from the original (PDF) on 9 June 2011. Retrieved 22 October 2009. ^ "Councillors". East Riding of Yorkshire Council. 2009. Archived from the original on 27 July 2009. Retrieved 29 September 2009. ^ "The Cabinet". East Riding of Yorkshire Council. Retrieved 6 June 2013. ^ "East Riding a four star council" (Press release). East Riding of Yorkshire Council. 2008. Archived from the original on 12 February 2008. Retrieved 9 February 2008. ^ "Region's councils are star performers". Hull Daily Mail. 5 March 2009. Archived from the original on 14 January 2013. Retrieved 12 October 2009. ^ "Local election results 2015: East Riding". Local Elections Archive Project. Andrew Teale. Retrieved 31 July 2016. ^ "Local election results 2011: East Riding". Local Elections Archive Project. Andrew Teale. Retrieved 31 July 2016. ^ a b "2001 Census: Census Area Statistics: Key Figures: Area: East Riding of Yorkshire (Local Authority)". Neighbourhood Statistics. Office for National Statistics. Archived from the original on 14 June 2012. Retrieved 3 October 2009. ^ "T 10: Mid-2004 to Mid-2005 population estimates; components of population change for local authorities in the United Kingdom; Mid-2005 Population Estimates". Office for National Statistics. Archived from the original on 6 December 2007. Retrieved 5 February 2008. ^ a b c d e "Key facts and figures" (PDF). East Riding of Yorkshire Council. October 2009. p. 2. Archived from the original (PDF) on 9 June 2011. Retrieved 12 December 2009. ^ "Census 2001 – Population Pyramids – East Riding of Yorkshire (UA)". Office for National Statistics. Retrieved 5 February 2008. ^ "Beverley crime statistics". The Digital Property Group. 2008. Retrieved 15 September 2009. ^ AA Publishing (2008). AA Road Atlas Britain 2009. Automobile Association. ISBN 978-0-7495-5689-1. ^ "Top Ten Attractions – Top Ten Attraction in Hull & East Yorkshire". Welcome to Yorkshire. Archived from the original on 7 March 2009. Retrieved 6 June 2013. 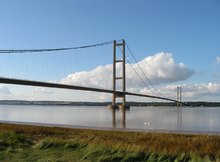 ^ "Visit East Yorkshire Wolds Attractions Humber Bridge Bridlington Beverley". Welcome to Yorkshire. Archived from the original on 14 December 2009. Retrieved 4 November 2009. ^ "Yorkshire Wolds Way". National Trails. Retrieved 26 September 2009. ^ The Diocese of York. "Deanery of South Holderness". Archived from the original on 7 October 2006. Retrieved 2 August 2007. ^ "Sykes Churches Trail Southern Route" (PDF). Beverley: East Yorkshire Historic Churches Group. Retrieved 31 October 2010. ^ "Getting Around". East Riding of Yorkshire Council. 2007. Archived from the original on 23 October 2008. Retrieved 22 October 2009. ^ "HART website". Retrieved 20 January 2014. ^ "Issues and Options Consultation Paper – Background: The East Riding Economy". East Riding of Yorkshire Council. Archived from the original on 9 June 2011. Retrieved 11 September 2009. ^ "BP NSI | Easington". BP. 2007. Retrieved 11 September 2009. ^ "Regional Gross Value Added" (PDF). Office for National Statistics. 21 December 2005. pp. 240–253. Archived from the original (PDF) on 1 December 2007. Retrieved 6 October 2008. ^ "Leconfield village visit". East Riding Mail. 2009. Archived from the original on 14 January 2013. Retrieved 7 November 2009. ^ "Global Gateway UK". Hull City Council. 2006. Archived from the original on 9 June 2011. Retrieved 11 September 2009. ^ "Planning for Renewable Energy Targets in Yorkshire and Humber". AEA Technology. December 2004. p. 52. Archived from the original (PDF) on 3 December 2009. Retrieved 11 October 2009. ^ "Out Newton". E.ON UK plc. Archived from the original on 3 January 2010. Retrieved 11 October 2009. ^ "Infinis - Lissett Airfield". www.infinis.com. Retrieved 30 August 2017. ^ "Renewable energy". Yorkshire Water. 2008. Archived from the original on 25 April 2009. Retrieved 11 October 2009. ^ "Huge plan for power plant". Driffield Times. 2 September 2009. Retrieved 3 November 2009. ^ "Planning for Renewable Energy Developments" (PDF). East Riding of Yorkshire Council. Archived from the original (PDF) on 9 June 2011. Retrieved 11 October 2009. ^ Bristow, Simon (8 April 2008). "Tidal power trials to go ahead on Humber". Yorkshire Post. Leeds. Retrieved 3 November 2009. ^ "Schools Web Directory UK". Deepspace Web Services. 2008. Retrieved 11 September 2009. ^ "Primary school league tables: East Riding of Yorkshire Sats results 2008". The Guardian. London. 1 April 2009. Retrieved 11 September 2009. ^ "Top result fails to halt county's GCSE slide down rankings". East Riding Mail. Hull. 16 January 2009. Archived from the original on 14 January 2013. Retrieved 11 September 2009. ^ "League Tables – Secondary schools in East Riding of Yorks". BBC News Online. 15 January 2009. Retrieved 11 September 2009. ^ "Bishop Burton College". Bishop Burton College. Retrieved 6 November 2009. ^ "Welcome to the Humberside Police website/C Division (East Riding of Yorkshire)". Humberside Police. Archived from the original on 27 June 2008. Retrieved 12 September 2009. ^ "The History of HFRS". 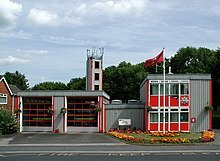 Humberside Fire & Rescue Service. Archived from the original on 2 October 2012. Retrieved 24 October 2010. ^ "Improvements in East Yorkshire". Yorkshire Water. Archived from the original on 15 July 2009. Retrieved 12 September 2009. ^ "East Riding of Yorkshire Council Website: AtoZ". East Riding of Yorkshire Council. Archived from the original on 9 June 2011. Retrieved 12 September 2009. ^ "NHS Trust – East Riding of Yorkshire PCT General Information". National Health Service. Archived from the original on 9 October 2009. Retrieved 12 September 2009. ^ "Other sites". Hull and East Yorkshire Hospitals NHS Trust. Archived from the original on 25 March 2010. Retrieved 6 November 2009. ^ "Hornsea Cottage Hospital General Information". NHS. Retrieved 22 October 2009. ^ "Withernsea Community Hospital General Information". NHS. Retrieved 22 October 2009. ^ "Target 45+". www.target45plus.org.uk. Archived from the original on 24 December 2012. Retrieved 15 October 2009. ^ "Salt End". Waste Recycling Group. Archived from the original on 31 December 2007. Retrieved 15 October 2009. ^ "Information about East Yorkshire Sport". Crawbar. 2008. Retrieved 15 September 2009. ^ "Kiplingcotes Derby winner 'never been so scared'". BBC News. BBC. 17 March 2016. Retrieved 10 August 2016. ^ "Eddsfield airfield". East Yorkshire IT. Archived from the original on 31 August 2009. Retrieved 26 September 2009. ^ "BBC One Programmes – Look North (East Yorkshire and Lincolnshire)". BBC. Retrieved 4 November 2009. ^ "Meet the Team – ITV Calendar". Independent Television. Retrieved 4 November 2009. ^ "Yorkshire radio stations, including Lincolnshire". Radio now. Retrieved 4 November 2009. ^ "Newsplan – Database of Local Newspapers". Yorkshire Libraries and Information. Archived from the original on 16 June 2002. Retrieved 4 November 2009. ^ "Other news sources in East Yorkshire and northern Lincolnshire". BBC News Online. 18 October 2004. Retrieved 4 November 2009. Allison, K.J. (1976). The East Riding of Yorkshire Landscape. The Making of the English Landscape. London: Hodder and Stoughton Limited. ISBN 0-340-15821-2. Van de Noort, Robert (2004). The Humber Wetlands. Landscapes of Britain. Macclesfield, Cheshire: Windgather Press. ISBN 0-9545575-4-9. Muir, Richard (1997). The Yorkshire Countryside. A Landscape History. Edinburgh: Keele University Press. ISBN 1-85331-198-7. Wilson, Vernon (1948). East Yorkshire and Lincolnshire. British Regional Geology. London: HMSO. OCLC 2281266. Wikimedia Commons has media related to East Riding of Yorkshire.